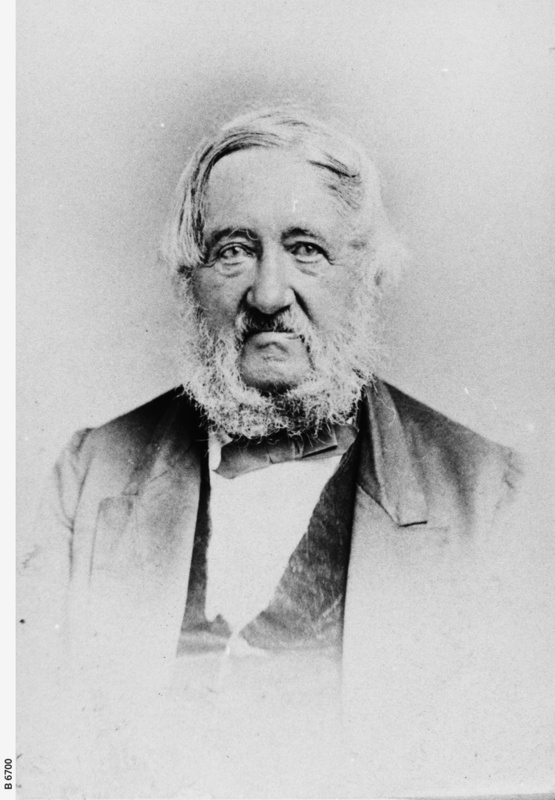 Dr. Charles George Everard, aged about 80 years, pioneer farmer and physician. Before leaving England he purchased Sections 43 and 44 plus eight Town Acres. He built Ashford House on Bay Road (now Anzac Highway). Everard Park was once part of his extensive land holdings which included much of the land between Ashford and Glenelg. Dr Everard was one of the first colonists to grow wheat on one of his Town Acres on Morphett Street.